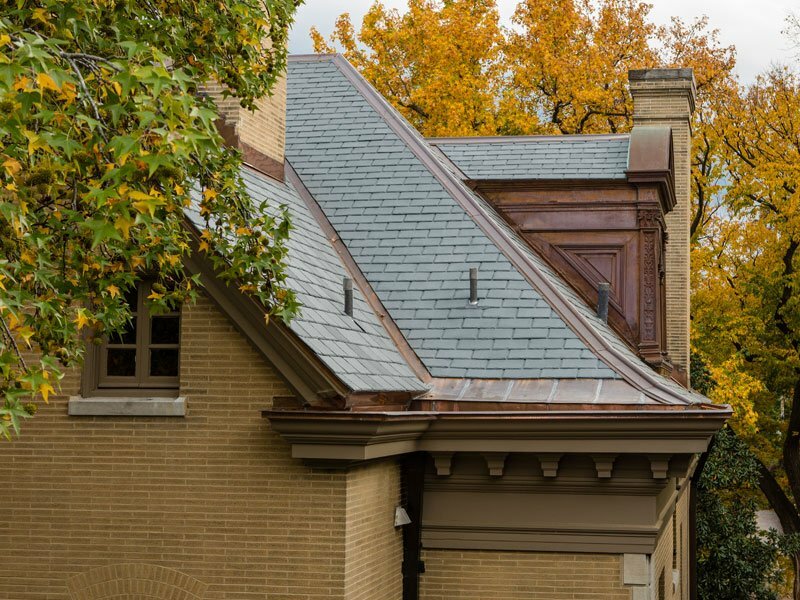 This beautiful home in a historic area in St. Louis, MO was in need of a new roof. 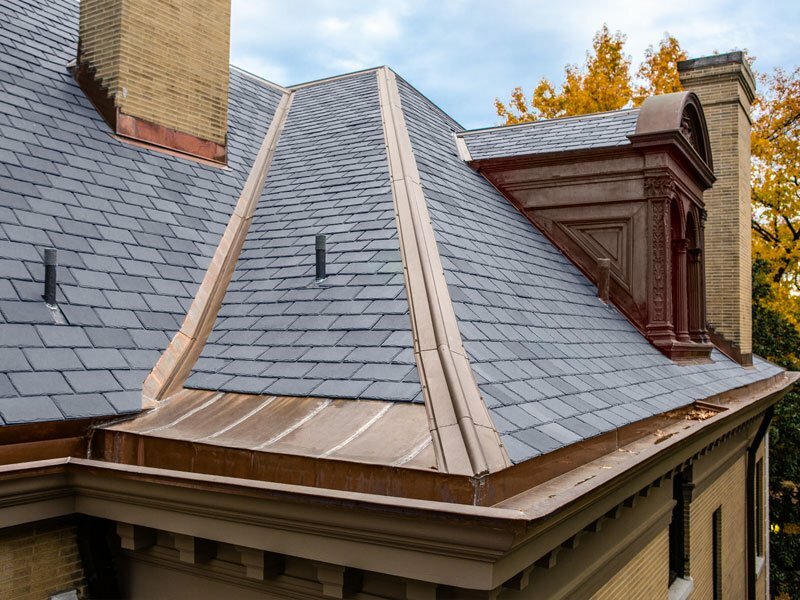 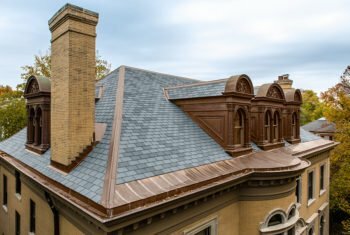 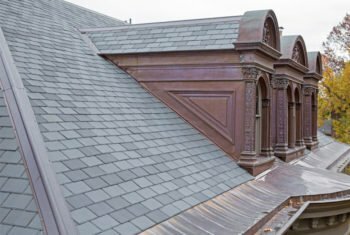 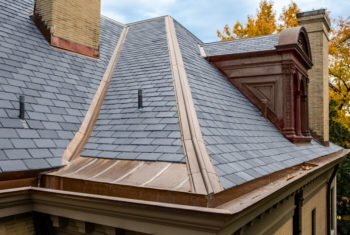 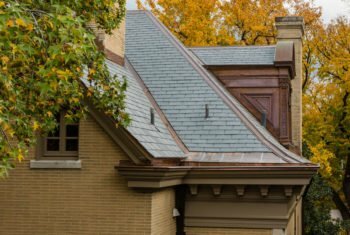 In keeping with the historic appeal of the neighborhood, while also selecting a product that was reliable, an EcoStar Majestic Slate roof was chosen. 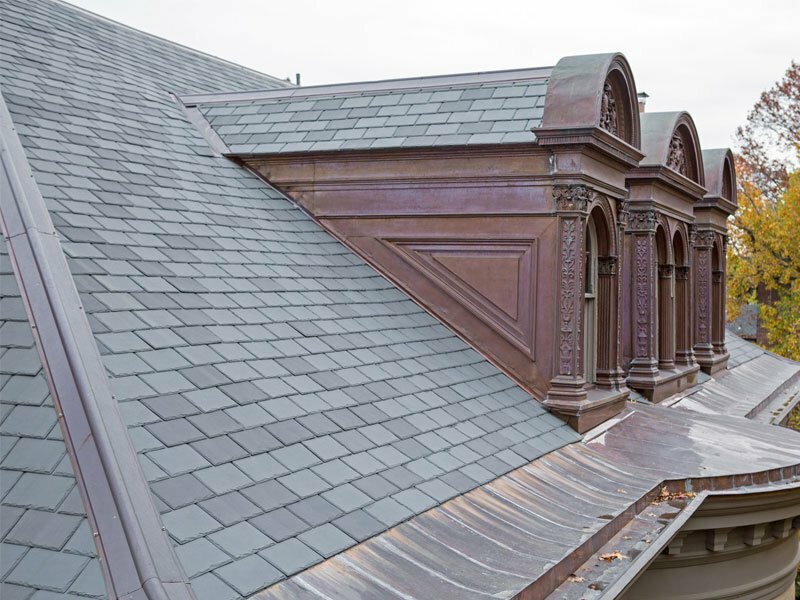 Majestic Slate 12″ Traditional tiles in a Smoke Gray Blend were selected and installed. The EcoStar roof only added to the beauty of the architecture, all while being lightweight, eco-friendly and protecting against the elements such as rain, hail, snow, fire, extreme temperature change and the sun’s UV rays.